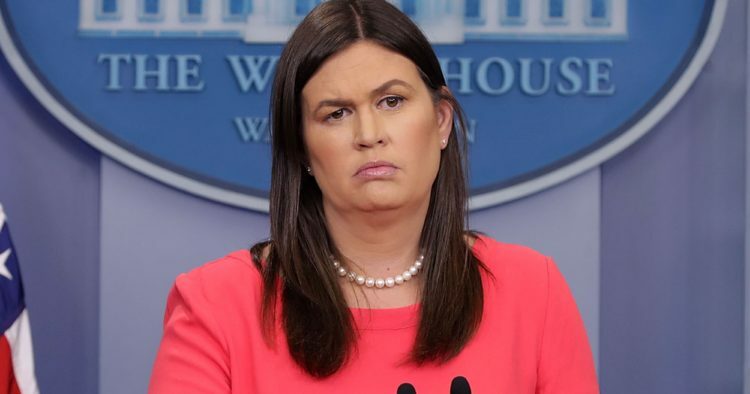 White House Press Secretary Sarah Huckabee Sanders urged Twitter followers to call the opinion desk of the “failing New York Times” and demand the identity of the “gutless loser” who wrote the bombshell editorial about the danger President Donald Trump poses to American democracy. The statement she posted to her Twitter account was in response to the high volume of questions regarding the identity of the anonymous senior official in the Trump administration who argued that Trump is amoral and unfit for office. One has to recognize the irony in Sanders echoing the president’s description of the paper by referring to it as the “failing” New York Times. She, like Trump, glosses over the fact the entire world is talking about what was published yesterday. The publication is hardly failing; and it’s clear the Trump team has no viable argument to make. The best they can do is ask Trump’s rabid base to flood the phone lines. “The root of the problem is the president’s amorality. Anyone who works with him knows he is not moored to any discernible first principles that guide his decision making,” the Times article stated. The Times will not reveal their source. The anonymous writer will choose make their identity known when it suits their needs, no matter how many irate phone calls they receive from Trump supporters.